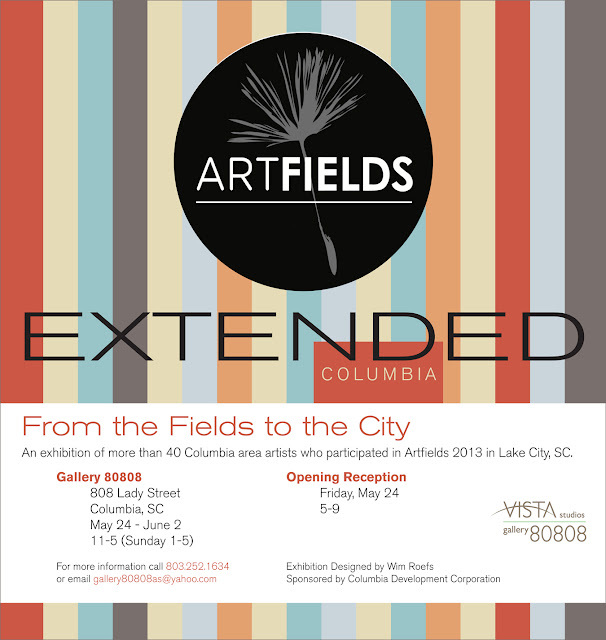 Vista Studios/Gallery 80808 will host an exhibition featuring over 40 artists from the Columbia area who were accepted into ArtFields, the Lake City, SC exhibition. The artists from Vista Studios include Jeff Donovan, Susan Lenz, Laurie McIntosh, Kirkland Smith, Laura Spong, and David Yaghijan. For this show, many artists from Columbia and the surrounding area will join them. All participating artists will display their ArtFields entry as well as an additional piece of their choice. The opening reception will be on Friday, May 24, from 5pm-9pm. The work will remain on display until Sunday, June 2nd. The gallery is open Monday-Saturday, 11am-5pm, and Sunday from 1pm-5pm. This exhibition will be designed by Wim Roefs, and is sponsored by the Columbia Development Corporation and Molten and Lamar Architects.